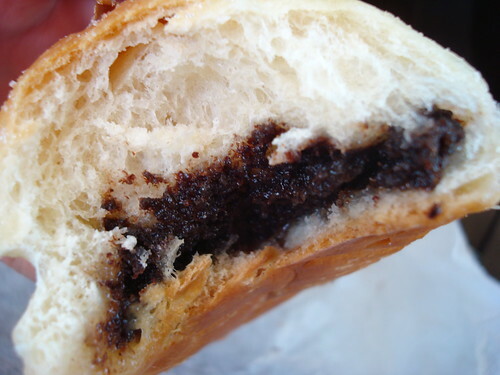 Little Czech Bakery: Kolache Pit Stop in West, Texas | bake me away! 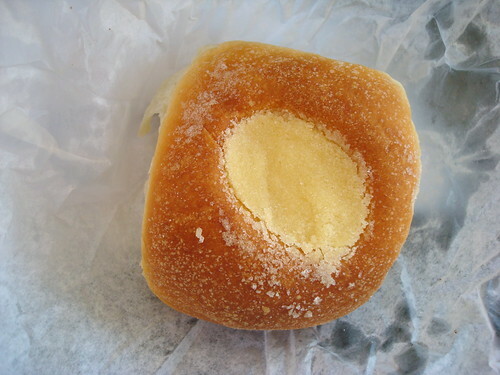 There’s apparently a big Czech/kolache center in Texas; sounds like I need to do some traveling for science (or vicarious traveling…maybe I can find a Texan-baker willing to do some research…? >.>). Howdy! I am happy to report that this Texan-baker (1/4 Czech/Bohemian to boot!) has finally done some field research for blog pal Mary. The Czech/kolache center that I assume she was referring to happened to be on the way to New York, but umm, much closer to San Antonio than my final destination. It’s in West, Texas and every time I say this, I feel the need to add a dramatic pause where the comma is so as not to sound like I’m referring to West Texas. Totally not where this place is…it’s 75 miles south of Dallas and 15 miles north of Waco, which is the northeast part of Texas. 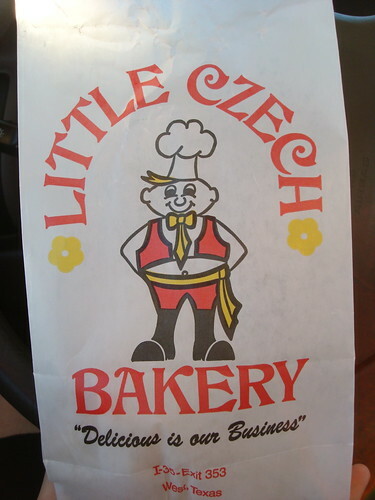 This gem of a place is known as Little Czech Bakery which is part of Czech Stop. There are gas pumps in front of it making it also a gas station, which you can use as justification for stopping to Czech it out (hur hur). I had to get gas, so this was convenient, but there were so many people that I had to wait 5 minutes. No biggie. 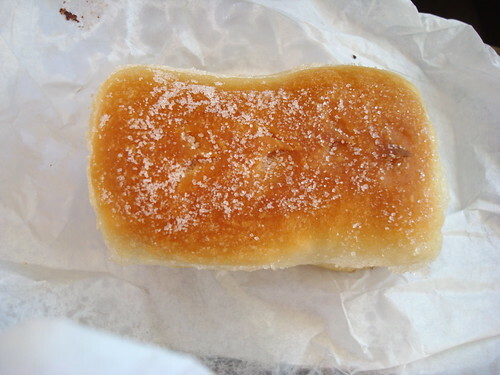 Once my car was fed, I went into the bakery and was instantly greeted with the fresh, yeasty smell of homemade bread. There were all sorts of treats everywhere, from bread loaves to spiced nuts to sausages in the fridges. 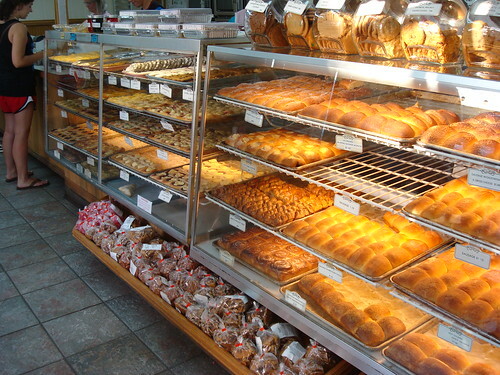 I got in line in front of the bakery case which was filled with kolaches and other treats; my mind was in Kolache Mode. While there were many to choose from, all of the savory ones had some sort of meat (mainly sausage variations) which was a little disappointing being a non-meat-eater, but I also wasn’t surprised. Oh well, dessert route it was! While awaiting the arrival of my fried cheese, I started with my dessert course. First up: poppy seed! Oh, happy day…. This was perhaps the softest, freshest doughy thing I have ever had. The bread was sweet and not at all dry, but the filling was a bit odd. I think this was my first time experiencing such a concentrated amount of poppy seeds, but I didn’t dislike it. It was just…different. After wolfing that one down, I moved onto the cottage cheese kolache. Now, I have to say that I’m not a big cottage cheese fan, but I ordered it so I had two flavors to try instead of one (and again, I failed to see the fruity options). The top had a circle of cream cheese in the middle which was on the crunchy side, but nice and sweet. The filling of this was also a weird one. If you can imagine what cottage cheese would be like baked inside bread, that’s pretty much how it was. But again, when the bread is that good, what does it matter if the filling is a little odd? Open 24 hours a day/7 days a week! Dang it! And I just saw a tweet about this earlier today: there are Kolache Snow Cones at a trailer called License to Chill which is also in West, Texas! 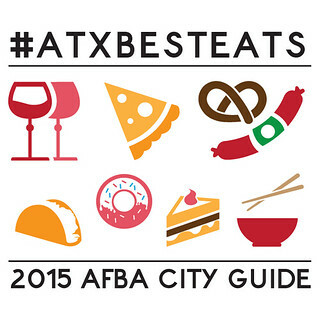 Looks like I’ll be making another stop on the way back home in August…but I probably would have stopped again to get more kolaches! Yay for trying 2 things you wouldn’t have otherwise! Er, wait. 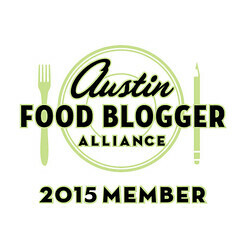 I know you’re an adventurous eater. Yay for trying 2 new things! I am in dire need again for a reboot of some western food (ie: anything not asian) I’m so sick of Asian food and Japanese food.. man stick a fork in me. I drove through Texas a few times, and I had the best pulled pork EVER!!! I just have to be looking at this post before breakfast. I don’t know much about Texas geography, but south of Dallas sure doesn’t sound like West Texas to me either. Great photos. This is awesome – I’m so glad you had the chance to try them out. 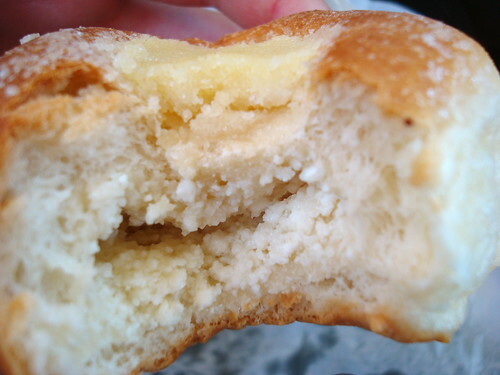 The sweet dough is totally a delicious trademark…though I’m sorry the fillings seem to have been a bit sub-par. I think poppy seeds grow on you…sometime you should buy a can from the store and put them in some sweet dough just to see if you can make them to your liking on your own! Jill – I’ve actually been to this place once with Rachel and Josh on the move back from Cleveland and didn’t get anything. If it weren’t for Mary’s post, I might not have ever stopped here, so yay indeed! Greg – haha, it’s confusing, isn’t it? Paula – It was pretty overwhelming! I’m kind of glad I thought my choices were more limited than they actually were. looks so tasty. supporting places like this is a saintly endeavor. Not the hugest fan of poppy seed filings or of cottage cheese. But still, this place looks heavenly. Out there in West. … … Texas. We NEVER pass this place without stopping. Gosh, I’m getting hungry just thinking about it. Emma – Glad I’m not the only one! haha, and I am not familiar with the lyrics you quoted, but nicely done! Ashlea – Now I know never to stop! It’s a shining beacon for my long drive back. Oof, classic Beastie Boys, represent yo! I live just south of Waco and if for ANY reason I go through West, I make it a point to stop here. The apricot ones are awesome and ALWAYS get them to warm them up for you. Also, they sell this AMAZING jalapeno peanut brittle! I know it sounds “different” but it deserves a try! I love this place. Somehow it was always “on the way” on family vacations.